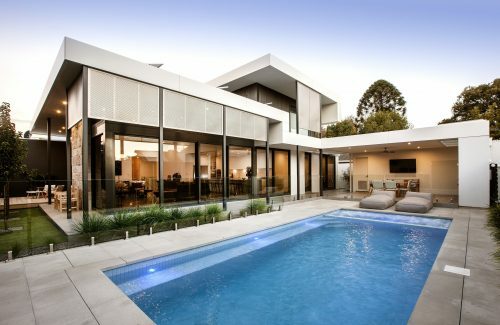 This beautiful, double gable villa is the original home of the area. 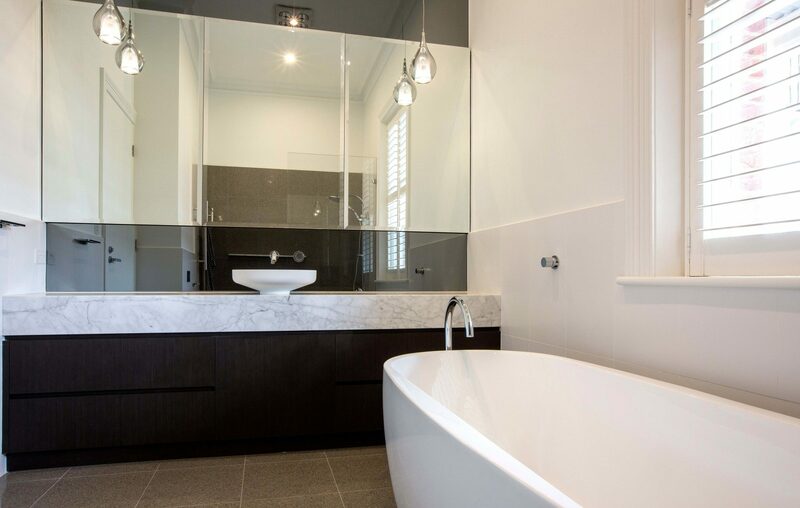 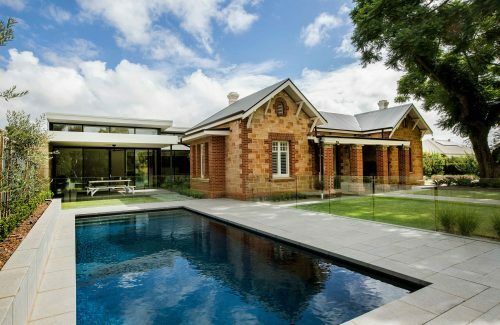 Situated on 2340 square meters with 50 lineal meters along the River Torrens, the house oozes elegance and class. 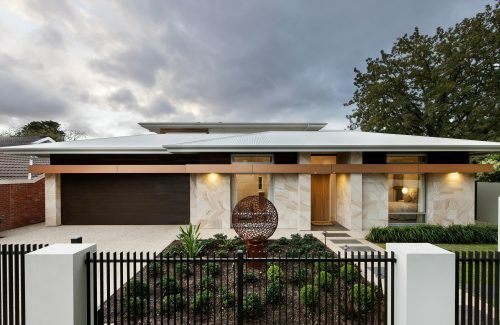 Outset’s brief was to design and construct a contemporary addition to link the main villa and the outhouse along with a new open plan kitchen, dining and living area. 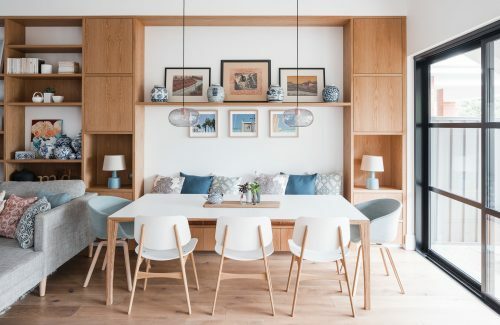 Soaring 4.2 meter ceilings allow natural light to flood the contemporary extension. 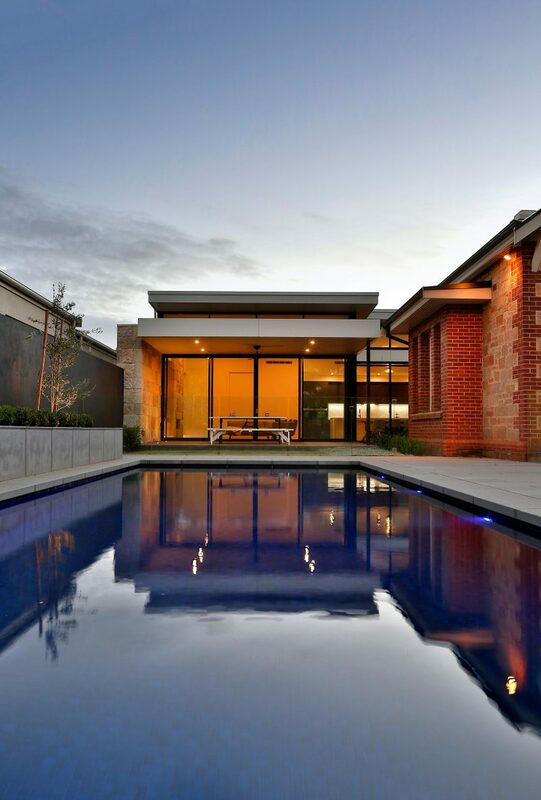 The addition is orientated towards the river and outlooks over the alfresco and large pool. 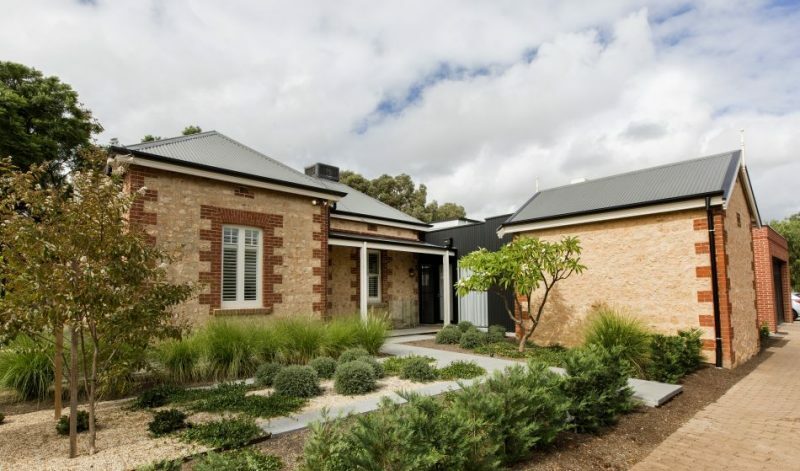 A small courtyard was included to showcase the contrast between the original villa and contemporary extension. 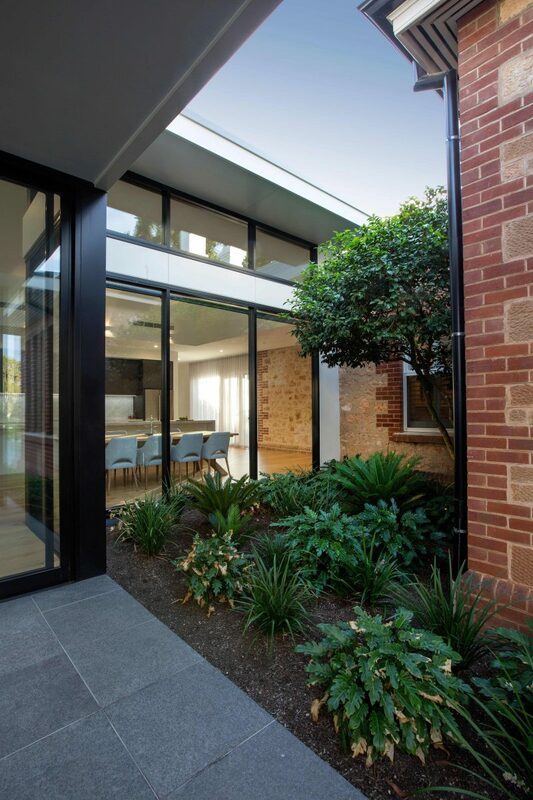 An old camellia tree was retained in the courtyard to further enhance this aspect. 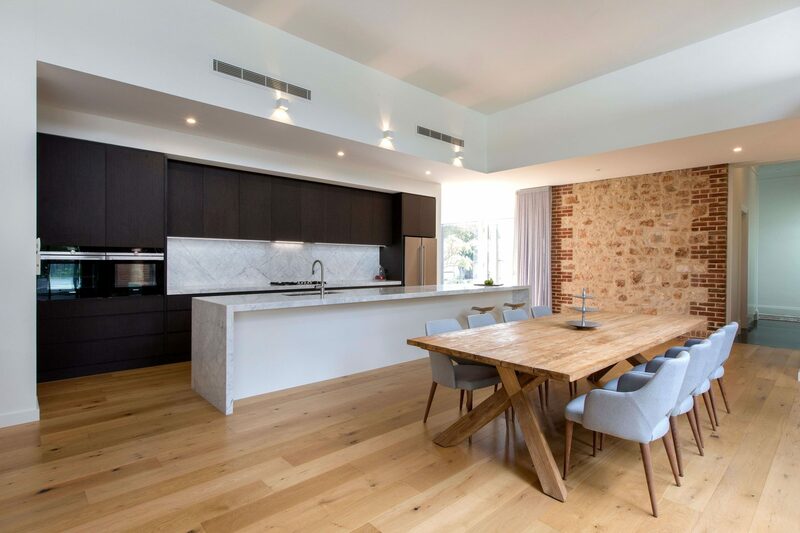 At one end of the dining room, an original sandstone wall was rebuilt to showcase the heritage of the home. 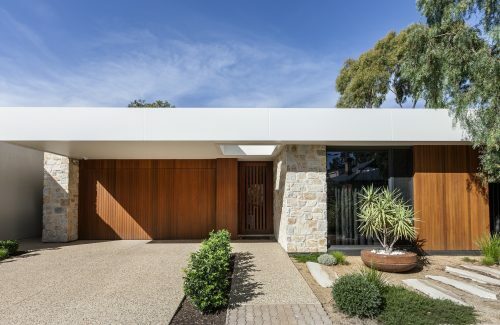 Sandstone cladding was used around the fireplace to compliment the original home. 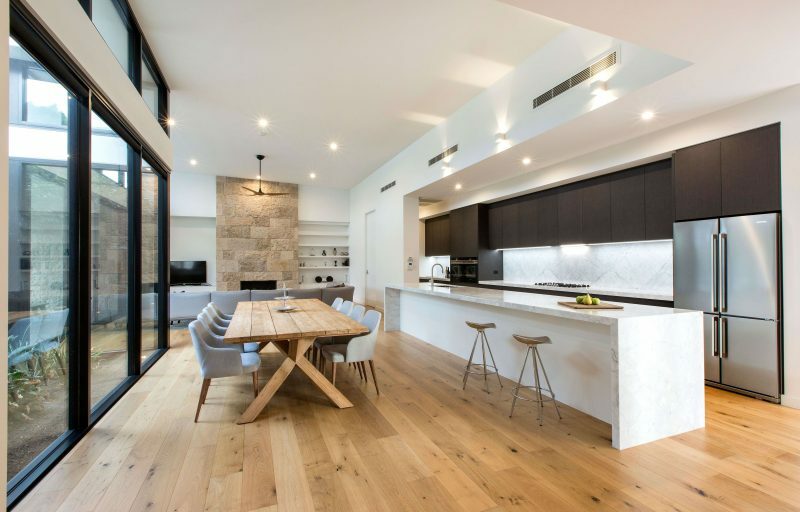 Dark kitchen cabinetry contrasts the new royal oak timber floors and original sandstone wall, whilst providing a contemporary feel to the space. 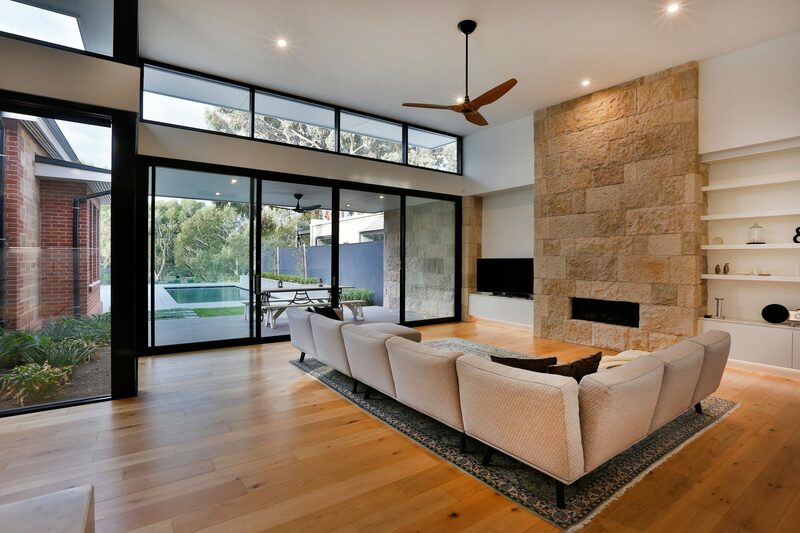 The sandstone clad fireplace along with the oak floors create a feeling of warmth within the living room and compliments the stone on the original villa. 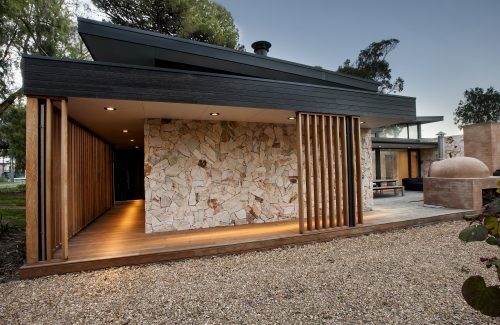 The courtyard provides an unique aspect from the kitchen allowing the landscape to become a part of the dining area. 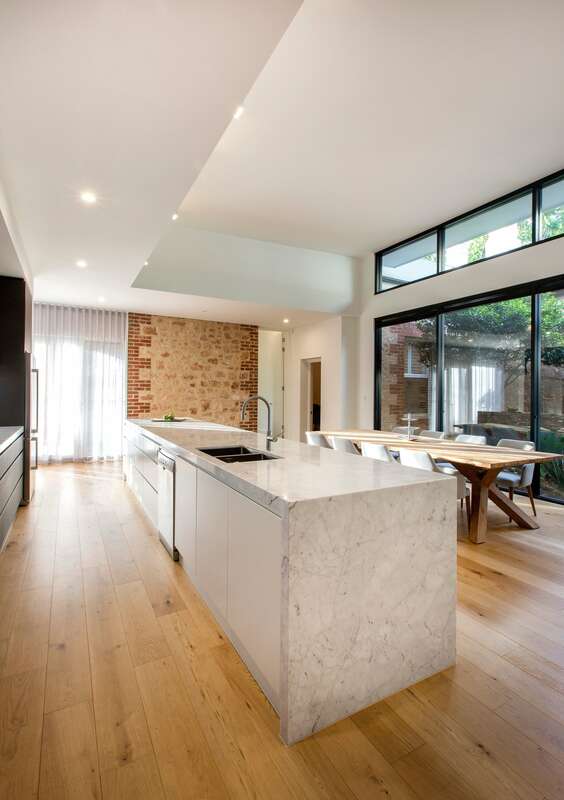 The 5.3 meter long marble benchtop is a beautiful feature of the kitchen with the slab ends returning into the oak flooring.